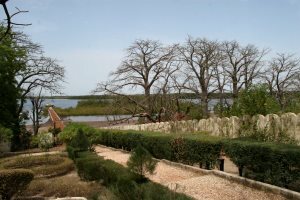 Located in a quiet and tranquil area in Toubakouta, this property (formerly Domaine Les Palétuviers) is an ideal place to relax and unwind, or use as a base to explore the surrounding region. 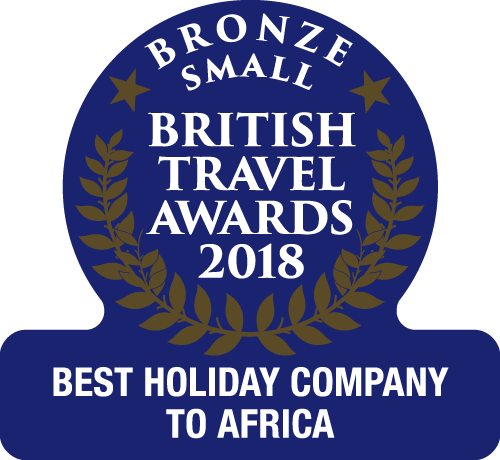 "I was really impressed with the pool and quirky restaurant areas, perfect for a lazy day listening to the sounds of the resident weaver birds, and the unique treehouse, perched in a baobab tree is really special." The opportunity to access the Sine Saloum Delta with its amazing birdlife, catching glimpses of local life as you go. There is a small beauty salon on site offering a range of massage and other beauty treatments. The perfect location to relax, and explore! A tranquil hotel with a unique character, Les Palétuviers Boutique Hotel offers a relaxing and care-free holiday under the hot African sun. Located in the Sine Saloum South region of Senegal next to a saltwater creek, it offers the perfect base for a wide range of excursions on or off the water. Spending an afternoon aboard a traditional pirogue is a popular pastime, which offers a great opportunity to get out and discover the local bird and marine life. On land, pay a visit to the local village of Toubakouta, which will give you a real insight into Senegalese life, along with the chance to experience 'teranga', Senegal's famous hospitality. Alternatively, guests can relax in the bougainvillea-filled gardens or refreshing circular pool, or sample excellent French cuisine at the hotel’s quirky and colourful restaurant; why not indulge in a soothing massage or other beauty treatment – the choice is yours! Thatched bungalows, or perhaps a treehouse? Over the last couple of years, the hotel has undergone a period of refurbishment to its pool and restaurant areas, as well as within some of the rooms. These are of a good size and are mainly housed in thatched roofed bungalows or buildings set amongst the trees. 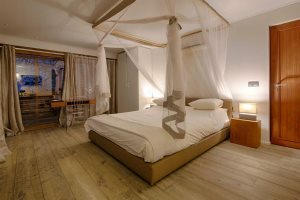 Plus, the most recent addition to the accommodation is the Baobab Suite, a treehouse giving you the chance to sleep in comfort amongst the branches of a baobab tree, with spectacular views over the creek and the mangroves. Most of the décor is kept to a cool, pale palette, however the restaurant overlooking the water offers a wonderfully bright and interesting setting. Here, you can enjoy European and Senegalese cuisine complemented by French wines. The transfer from Banjul includes a river crossing of approximately 40 minutes. 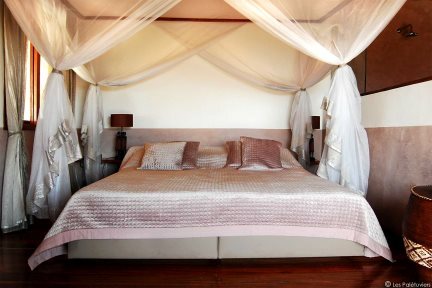 If only staying at Les Palétuviers, your first night will be spent in The Gambia. Comfortable rooms with private bathroom - Sleeps up to 3 people. Comfortable rooms with private bathroom and private terrace overlooking the river - Sleeps up to 2 people. A stunning, modern suite set in a treehouse offering fantastic views overlooking the delta. Separate outdoor seating areas.